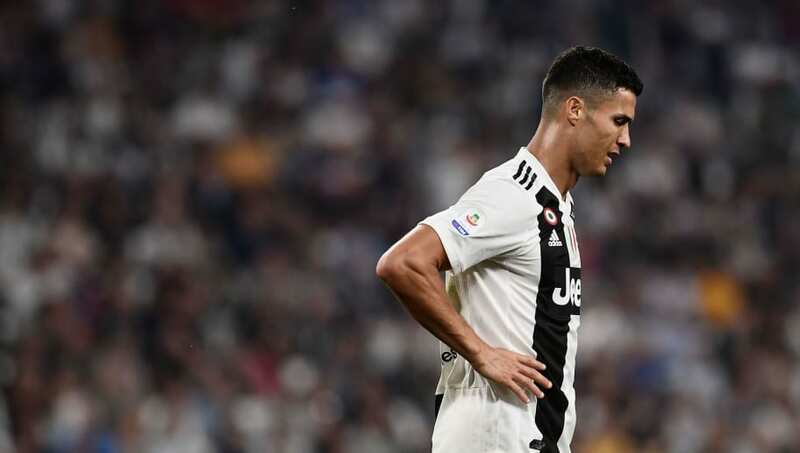 Cristiano Ronaldo became the first ever player to score 400 goals in the top five European leagues as Juventus' winning start to the Serie A season ended in a 1-1 draw with Genoa. Former Real Madrid forward Ronaldo tapped in shortly after hitting the crossbar but a loss of concentration from La Vecchia Signora's defenders allowed Daniel Bessa to head in the equaliser late on. ​Juventus are probably the best team in Europe right now, having won each of their previous eight Serie A games before Saturday. However, an uncharacteristic loss of concentration ultimately cost them. The ball looked to be spinning out for a corner but stayed in play and was collected by Christian Kouame, who crossed for Bessa to convert. Juve are normally extremely tight at the back so expect Massimiliano Allegri to make the necessary changes before their Champions League game against Manchester United. Starting XI: Szczesny (6); Cancelo (7), Bonucci (6), Benatia (6), ​Sandro (7); Bentancur (6), Pjanic (7), Matuidi (6); Cuadrado (6), Mandzukic (6), ​Ronaldo (8*). ​Substitutes: Costa (5), ​Dybala (5), Bernardeschi (5). STAR MAN - Who else but Ronaldo? The Portugal international gave Juve the lead early on and his general play was good, even if he missed a few chances he would normally bury. Miralem Pjanic was also excellent in central midfield, while Alex Sandro bombed forward well from left back. WORST PLAYER - There's plenty of hype around 21-year-old Rodrigo Bentancur, who scored in Juve's win against Udinese before the international break, but the Uruguayan wasn't as assertive in central midfield as some of his colleagues. Juve have a Champions League game against United to look forward to on Tuesday, with Allegri's side looking two build on their two wins so far in Europe's elite club competition. They resume Serie A duties when they travel to Empoli.